Billboard and Ford are teaming up to bring you the Billboard Ford Front Row Sweepstakes 2017. 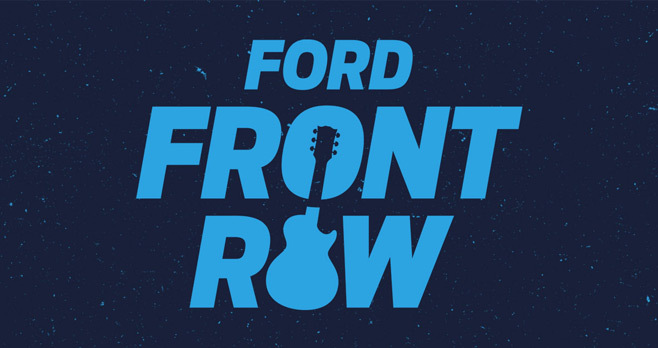 Enter now at billboard.com/fordfrontrow and you could win a trip for two to an exclusive Ford Front Row show or a pair of tickets to attend a concert. Plus, you could drive home a brand new Ford vehicle of your choice valued at up to $45,000 to bring you closer to the music. Complete the official entry form with all required information, including your name, email address, zip code of your residence, and telephone number. All entries must be received by 11:59:59 PM ET, on 10/31/17. CONCERT TRIP PRIZES: Trip for winner and one guest to a Billboard concert. Each prize trip consists of roundtrip, coach air travel, 2 nights’ hotel accommodations, 2 tickets to concert, and a $500 gift card. CONCERT TICKET PRIZES: Two tickets to a Billboard concert. GRAND PRIZE: Winner’s choice of any 2017 Ford vehicle, up to an ARV of $45,000. The Promotion is open only to legal residents of the 48 contiguous United States and District of Columbia who are 21 years of age or older and have a valid U.S. driver’s license, as of date of entry. The Sweepstakes begin on 7/13/17 at 12:00:00 AM ET and end on 10/31/17 at 11:59:59 PM ET. There is a limit of one entry per person per entry period, for a maximum of 5 total entries per person throughout the Sweepstakes Period. The potential winners will be selected via random drawing. There will be a separate drawing for each of the 5 Entry Periods comprising the Promotion Period. To receive Sweepstakes results, go to www.promodetails.com and enter the keyword “2017FordFrontRow”. Results will be available after 12/1/17. Sponsored by Ford Motor Company, 16800 Executive Drive, Dearborn, MI 48126. For complete details, including Official Rules, visit www.billboard.com/fordfrontrow.